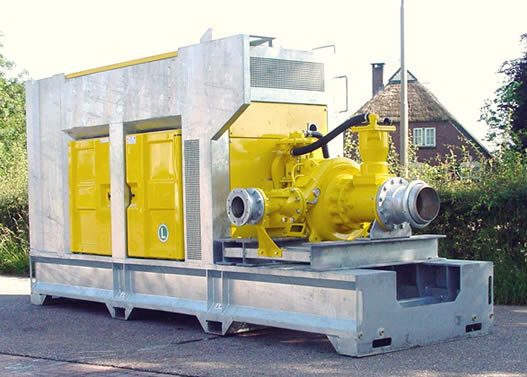 BBA Pumps from the Netherlands offer a range of heavy-duty cast iron, bronze and stainless steel self-priming pumps for dirty water and raw-sewage applications. 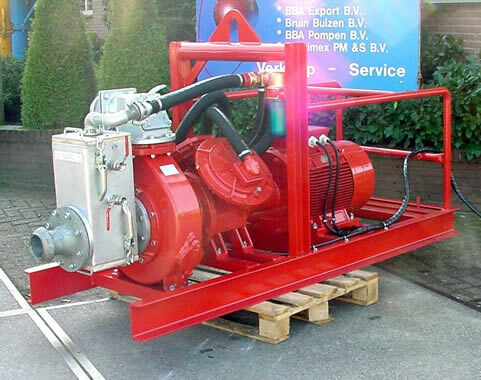 The pumps may be direct mounted to electric motors or long-coupled to electric motors or diesel engines. 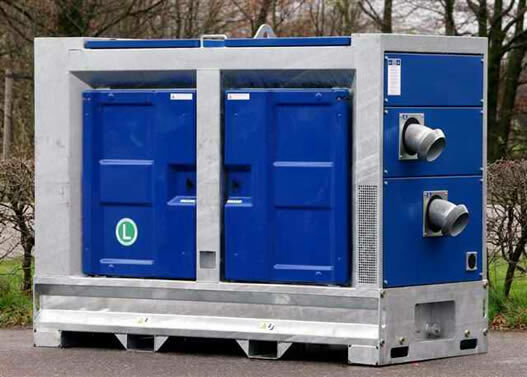 Diesel-driven units are available with acoustic canopies for noise reduction in residential areas. 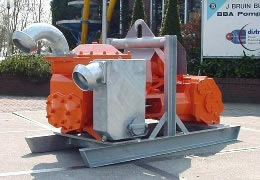 Monobloc self-priming pumps for clean or dirty water, electric drive. Heads up to 22m at 50 Hz. Free passage max. 65 mm. 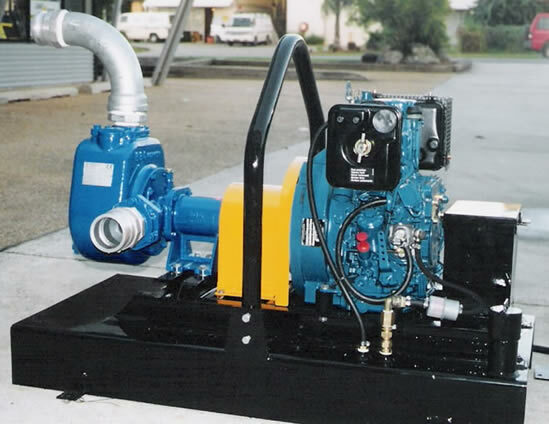 Pedestal self-priming pumps for clean or dirty water, diesel or electric drive. Heads up to 40 m.
Free passage max. 90 mm. Pedestal self-priming pumps for clean or dirty water, diesel or electric drive, for high head applications. Heads up to 70 m.
Leachate recovery and spray irrigation. Non-hygienic product recovery and transfer. 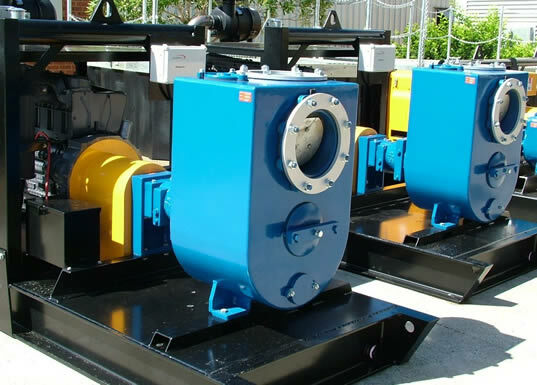 Vacuum-assisted pumps for wellpoint dewatering. Heads up to 32 m.
Free passage max. 70 mm. 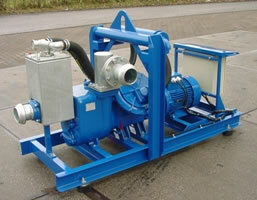 Vacuum-assisted pumps for handling drilling mud / bentonite slurries. Heads up to 39 m.
Double-acting piston pumps for wellpoint dewatering. 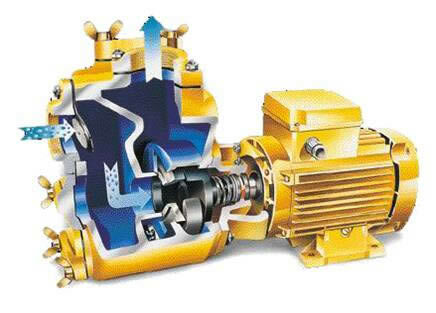 Simple and reliable pumps of high efficiency. 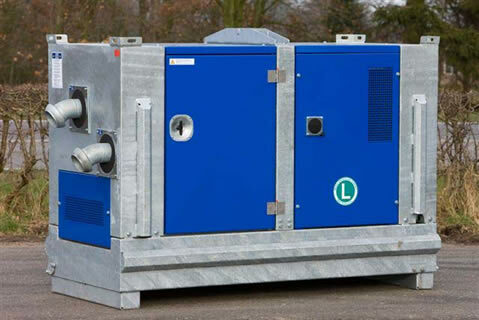 Heads up to 20 m.
The PT pumps can be supplied in an acoustic canopy to reduce noise levels to approximately 46 dBA at 10 m.
The simple sliding construction of the E series makes major maintenance very easy - the drive and pump can be withdrawn as one unit without dismantling the canopy. Wellpoints, Header Pipe and all other required pipe, hose and fittings for site dewatering. water supply from shallow aquifers. wellpoint dewatering for construction sites.